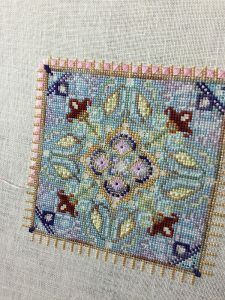 Day 25 saw me working on the gorgeous Chatelaine pattern Taj Mahal Mandala Garden. 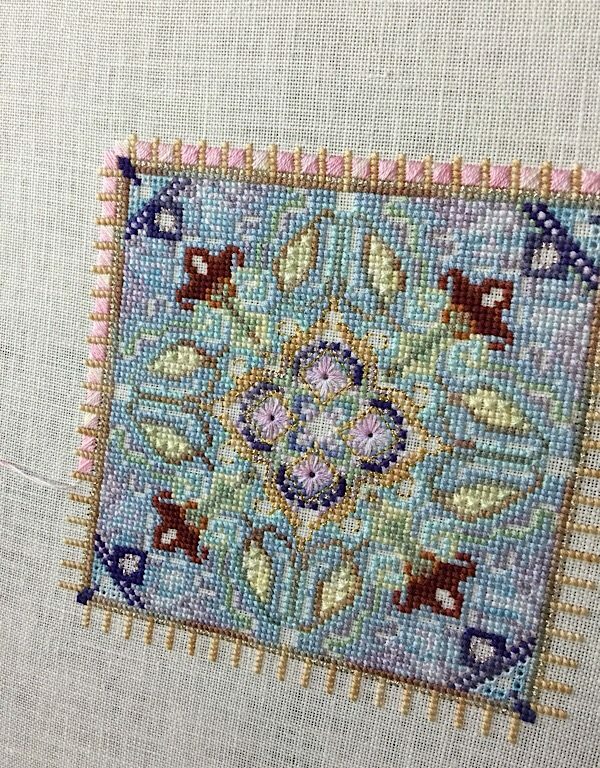 It has been about a year since I have picked it up, so it was a real pleasure to work on it again. 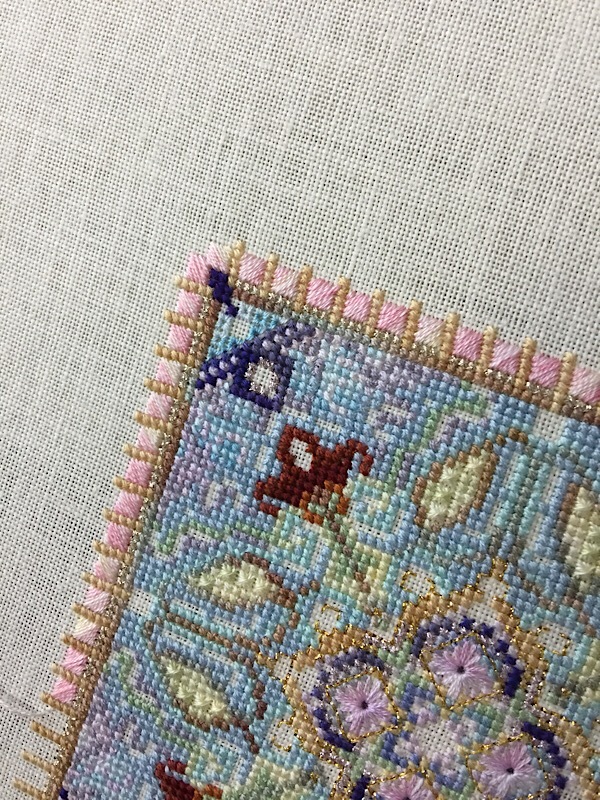 I am currently working on the satin stitches around the center square. According to the chart, these should be done in the Woven Scotch stitch. 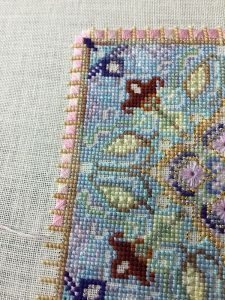 I found this stitch rather difficult, and quite frankly, I love the way the silks glow in the satin stitch, so that’s what I’m doing. 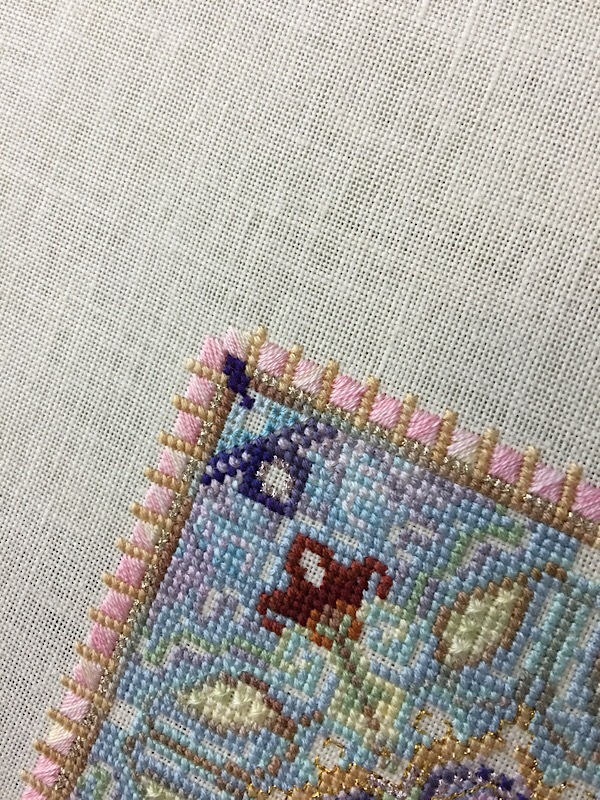 I worked the satin stitches using a trolley needle, which helps the stitches to lay flat and evenly on the fabric. I have a lot more work to do on this. Once Stitch Maynia is over, I plan to work on this on the weekends until it’s finished. Remember, to see a larger image, simply click on the picture. 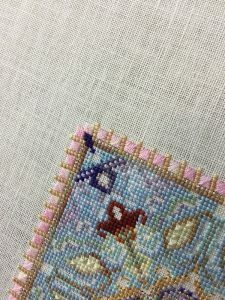 Tomorrow, on to a simpler pattern! Summer Row by Bent Creek.